Arrive Rio de Janeiro 3 Nights > Flight Manaus 3 Nights > Flight Iguassu Falls 2 Nights > Flight Buenos Aires 2 Nights > Flight El Calafate 2 Nights > Flight Ushuaia 2 Nights > Flight Buenos Aires 1 Night & Leave. Overnight stay at the Lodge in Manaus. Throat – the largest fall. 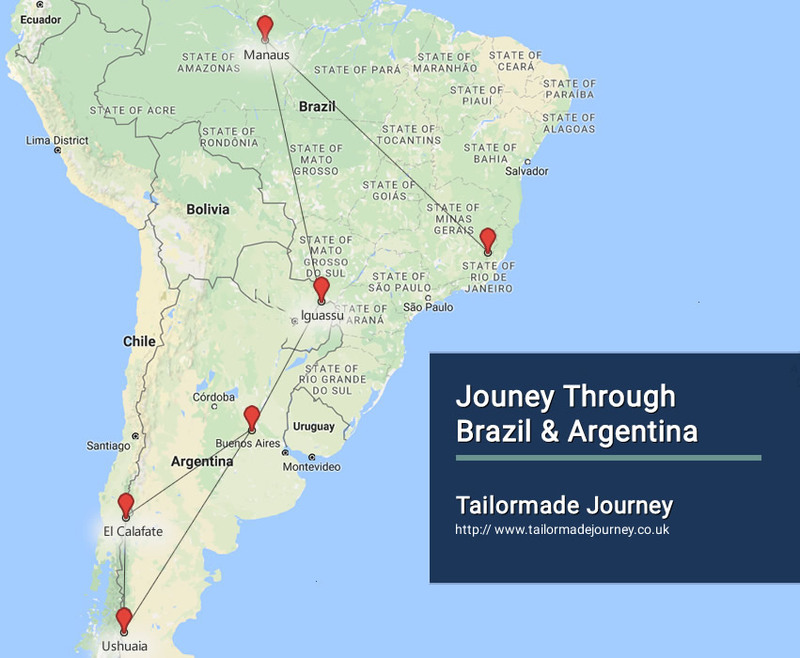 This trip shows you the highlights of the Argentinean side.